Aegean Cruises is an officially licensed, government regulated and established Yacht Charter and Tourism company. Book with confidence. We have over 35 years of know-how at the top of the Greek sailing holidays industry. Our staff is well-trained and highly motivated with great team spirit and morale. We all work very hard to ensure you get the best care and attention - a truly personal service. We are professional, fun-loving people and take our work very seriously so that you can relax and enjoy the beauties that sailing has to offer. The fundamental reason of our success is our belief in what we do and our understanding of the industry. We have a passion for sailing, a dedication to the holidays we provide and a wealth of knowledge in both fields. Our reward: Over 90% of our clients come back year after year or have recommended us to a friend. We also have not forgotten how important the personal touch can be. Knowing that yacht charter is an affair of mutual trust, our Managing Director Mr. Zacharias Papadakis, will contact you personally upon your arrival. During the orientation, all of your questions will be answered in a friendly and private atmosphere and - just before you embark - we will personally familiarize you with your boat and the systems on board. You may also reach us at any time during your sailing trip and we will support you with daily weather reports, navigation warnings and important news. Aegean Cruises offers an extensive range of well-maintained, fully equipped yachts for charter that will exceed even your highest expectations at surprisingly favorable rates. Trust Aegean Cruises, one of the oldest and most experienced Yacht Charter Companies in Greece. Whatever your experience and budget, Aegean Cruises will find just the right solution for your sailing holiday. If you are an experienced sailor and you enjoy the freedom of navigating your own boat, Bareboat cruising is the ultimate escape! Be your own captain, charter one of our finest 150 yachts and discover the Greek Mediterranean at your own pace. If you are inexperienced, or you simply do not want to deal with the day-to-day running of your yacht, hire a personal skipper and enjoy the luxury of a Skippered Charter. If you are holidaying on your own, with a friend, a partner or with your family, then you can still join one of our Skippered Sailing Cruises. This is the ideal, cost effective way of exploring the wonderful world of the Greek islands. You do not need to know anything about sailing. If you wish, our skippers will be happy to introduce you to the skills of yachting. All you really need, is the love for sun and the sea. We can arrange your transfer from the airport upon your arrival directly to your boat or to a hotel if you arrive late at night. The charterer and his or her party will be given a general briefing covering the local cruising grounds. Questions about navigation, anchorages, prevailing conditions, or any part of the desired itinerary can be answered. A more specific boat briefing aboard the yacht will then be given, covering all the operating systems, including rigging, electrical system, water system, windlass, stove, dinghy outboard and emergency systems. By sending us a provisioning list before your arrival, your provisions will await you on board. Alternatively, you may also go shopping on your own. Our van will take you to a nearby supermarket and bring you back to your boat with your shopping at no extra charge. Fresh provisions are conveniently obtainable on almost all islands, at markets near to mooring sites. "Dining out" on the islands at one of the many traditional tavernas is inexpensive as well as entertaining. Our advice : Don't choose the next best taverna just because it is close to your boat. Take a walk around the area first. You will be surprised at how many hidden tavernas you will find "off the beaten track". For those who yearn for the ultimate in luxury crewed yachts, Aegean Cruises has selected an excellent range of sailing yachts, motor yachts and motor sailers. On board one of these exceptional yachts, absolute privacy, excellent service and independence is guaranteed. The type of accommodation and service provided are as wide as the choices of yachts ranging from ultrafast motor yachts to large classic sailing yachts or the traditional Greek motor sailers. For more information on luxury crewed charters -even on "mega exclusive yachts" please contact your local agent or speak to us directly. Aegean Cruises operates a successful brokerage department maintaining a database of almost 300 used yachts based in Greece. We can offer you a used yacht that suits your needs or assist you in selling your yacht to one of our clients. 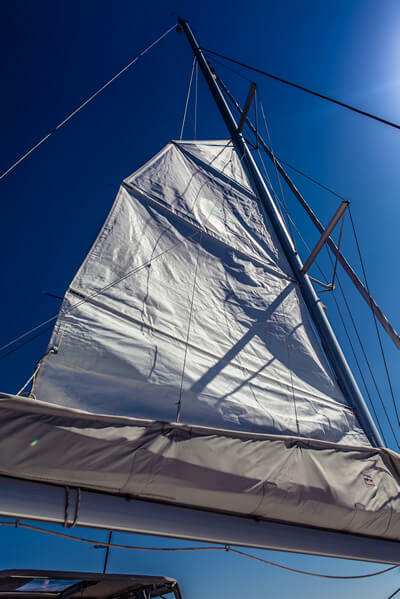 If you would like to keep your boat in Greek waters permanently, we take full responsibility for all the necessary maintenance and administrative duties and will get your boat ready whenever you should need it.